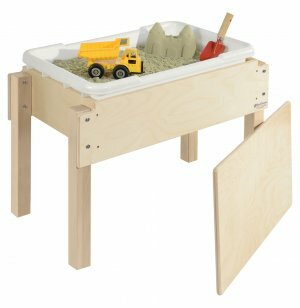 Junior Wooden Sand and Water Table with Lid 28x15"
Young learners will have a blast using Sand and Water Tables from Wood Designs. This table’s lid can also be used as a work surface. The 8" deep plastic tub is a great size for tots. 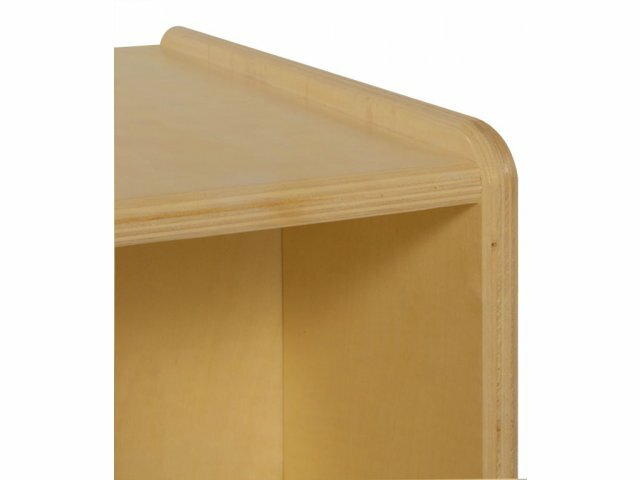 Young Learner Sized: These 18"-high tables are an appropriate size for young children and tots. 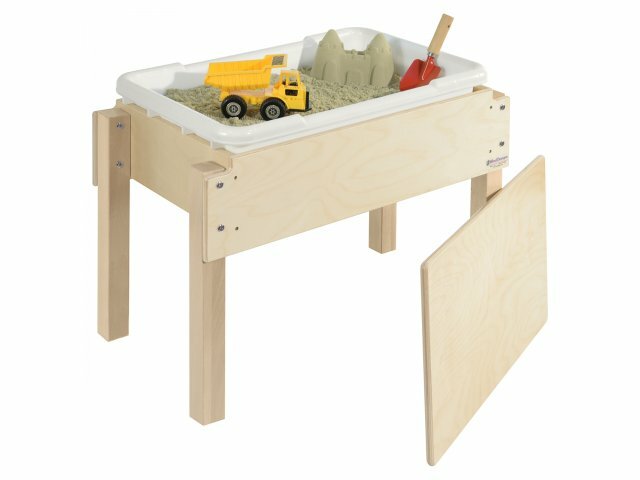 Extra Deep: An 8" deep tub accommodates children with developing motor skills. 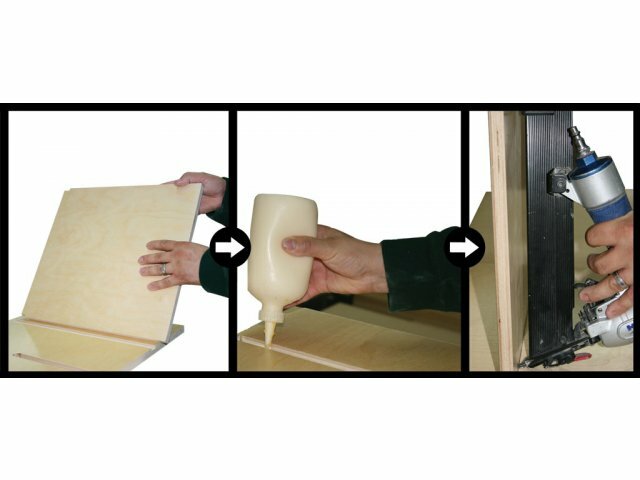 Mutipurpose Lid: The Wooden lid transforms tables into an extra work surface.